SR 49 separates from SR 20 east at the north end of the Golden Valley Freeway and Uren Street in Nevada City. 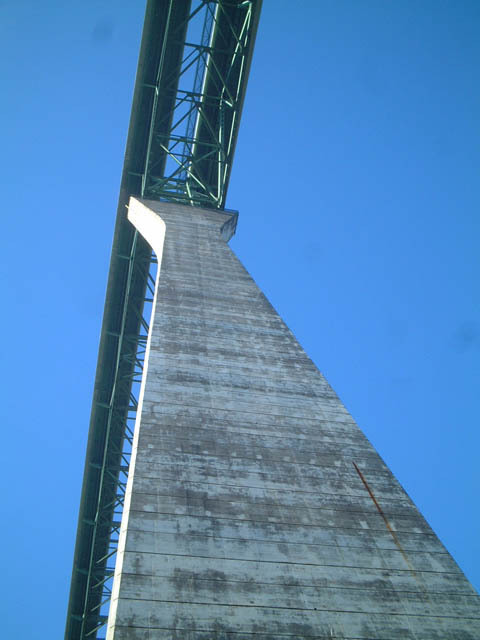 Photo taken 07/11/18. 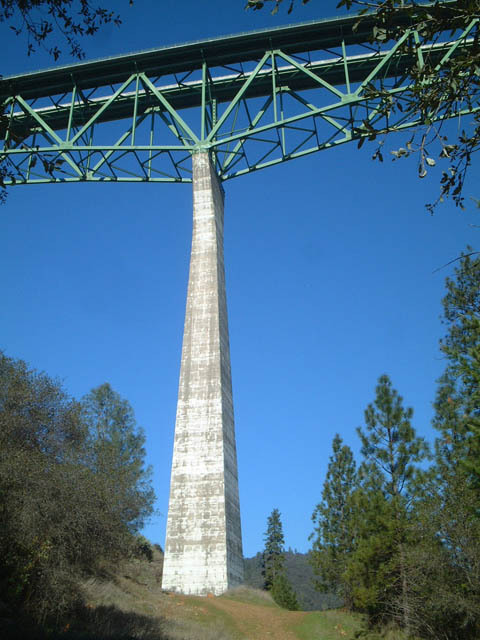 Porcelain enamel overhead sign for SR 20 west and SR 49 south along the Golden Center Freeway in Nevada City. 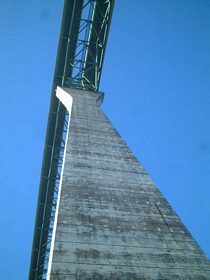 Photo taken 07/11/18. 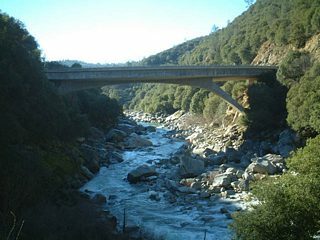 Beginning in Oakhurst just north of Fresno and south of Yosemite National Park, SR 49 traces the Mother Lode of California, passing through such historic gold mining communities as Jamestown, Sonora, Columbia, Angels Camp, San Andreas, Jackson, Placerville, Auburn, Grass Valley and Nevada City. Leaving the foothills, SR 49 enters the Sierra Nevada, passing through Downieville en route to its northeasterly terminus at SR 70 in Vinton. 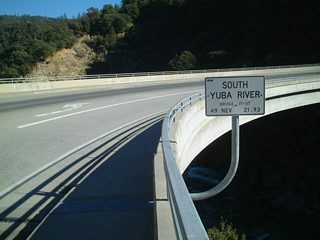 SR 49 received its designation in honor of the 49ers. 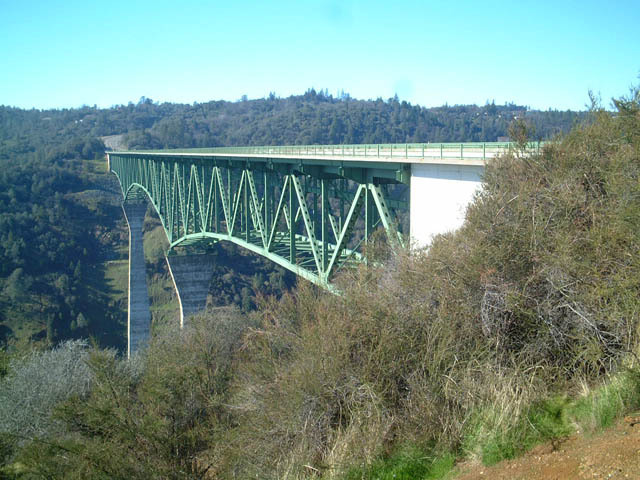 The state route is frequently referred to as the Gold Country Highway, Mother Lode Highway, Golden Chain Highway, and other names that speak to its heritage as the main highway to communities, towns, and cities founded during the Gold Rush of 1849. 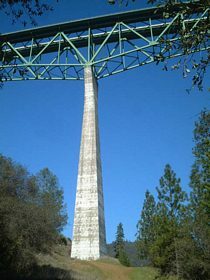 The Foresthill Bridge is California&apos;s tallest bridge at 730 feet in height. Only the Royal Gorge bridge in Colorado, at 1,053 feet, and the New River Gorge Bridge in West Virginia, at 876 feet, is higher than the Foresthill bridge. 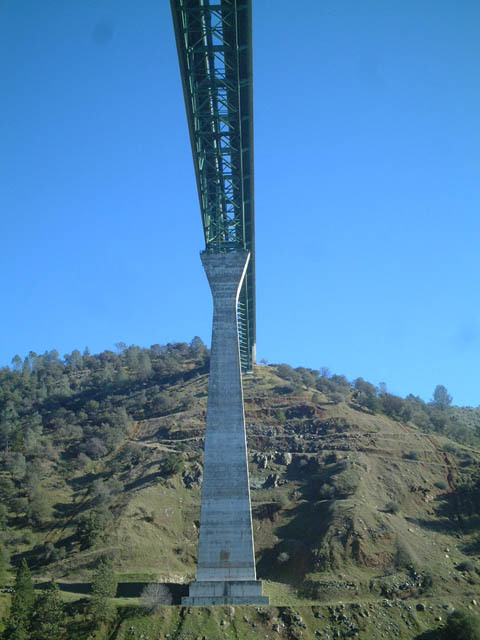 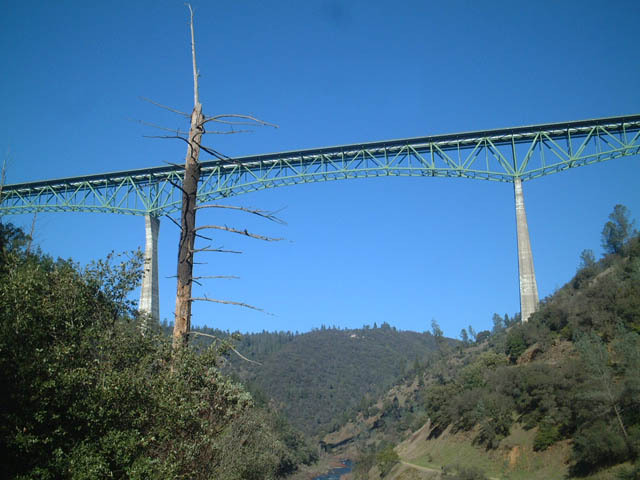 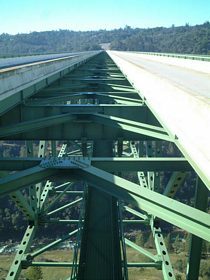 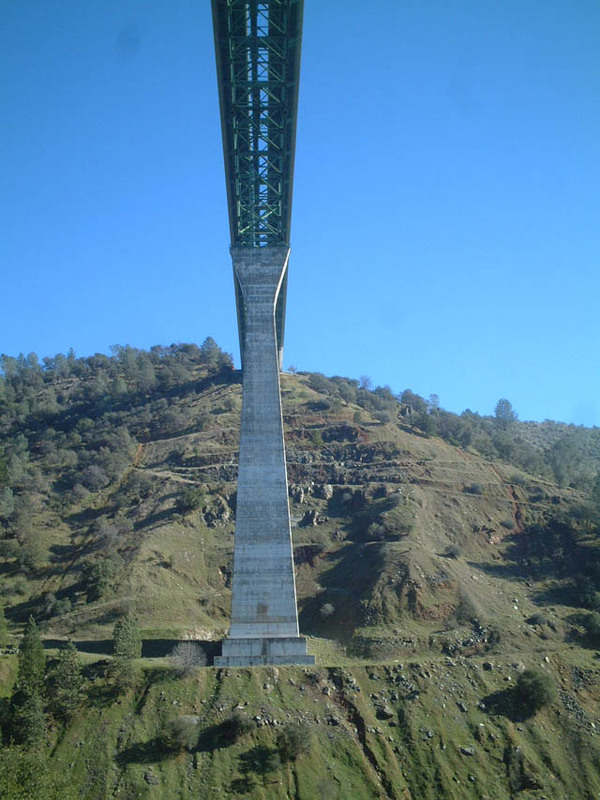 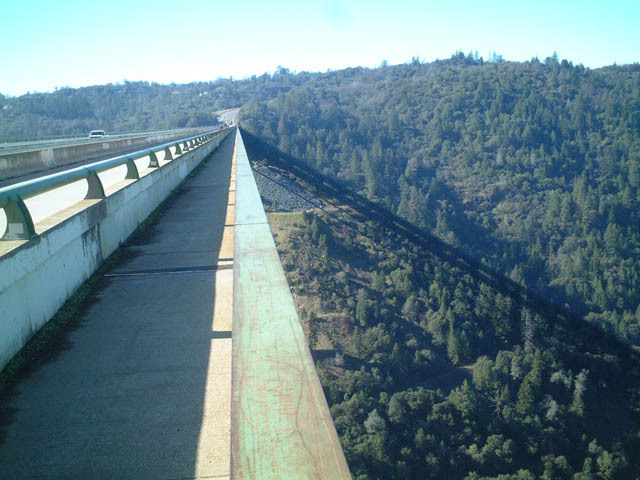 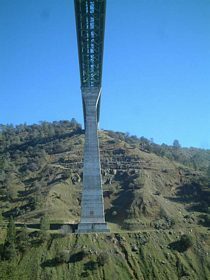 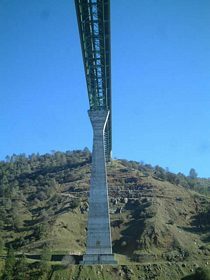 Painted green, with large concrete supports, the bridge spans high above the North Fork of the American River. 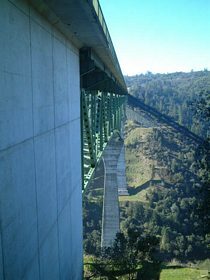 Walkways built on either side of the bridge provide stunning, unobstructed views of the valley below. 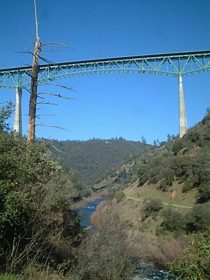 Photos taken 01/19/03. 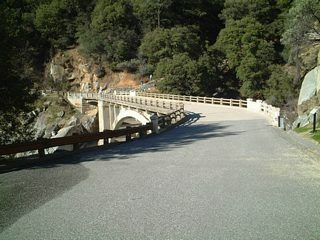 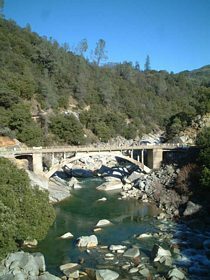 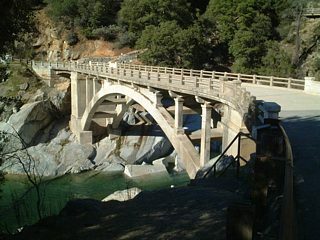 A 1920s-era concrete arch bridge formerly carried California 49 over the Yuba River. 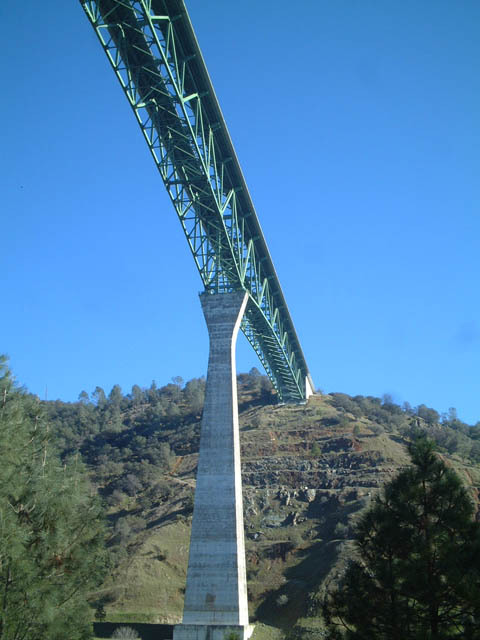 Adjacent to its replacement, this span was crafted in a manner similar to the U.S. 80 arch bridges in San Diego County. 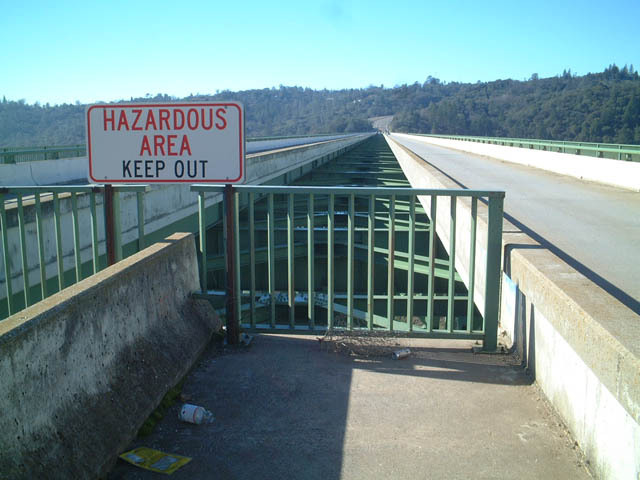 The bridge is closed to vehicles, and it is primarily a pedestrian bridge for hikers to the Yuba River. 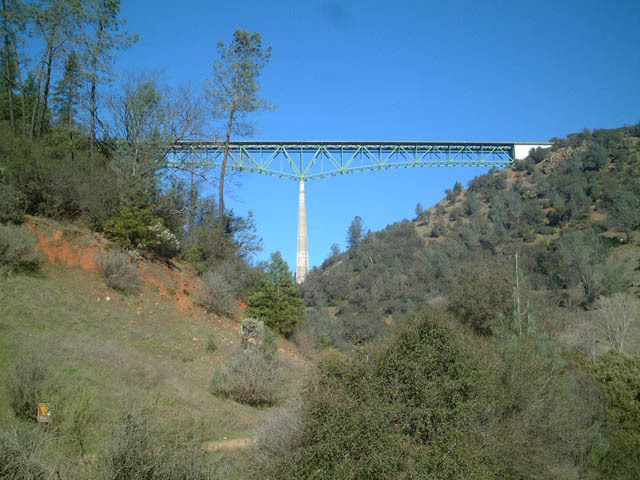 Photos taken 01/19/03. 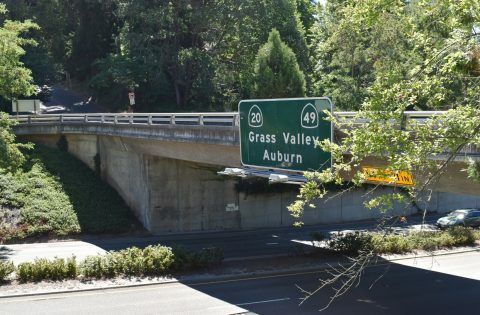 Auburn Street (unsigned SR 49 Business) south at McKnight Way in Grass Valley. McKnight Way connects with the adjacent Golden Center Freeway (SR 49) nearby. Photo taken 07/11/18. 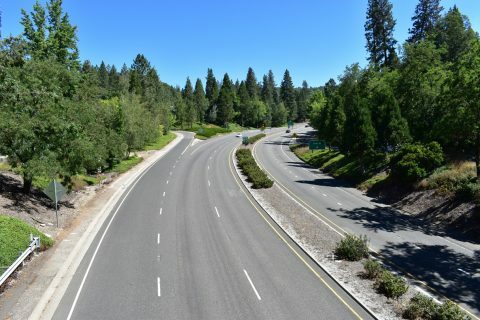 SR 49 leads north along the Golden Center Freeway through Grass Valley to Nevada City from McKnight Way. SR 49 south transitions to a two lane rural highway en route to Auburn. 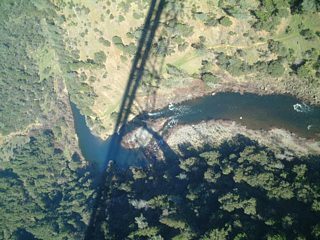 Photos taken 07/11/18. 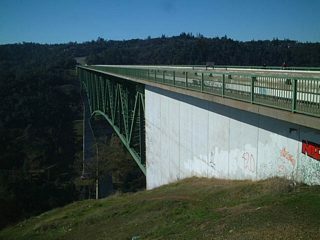 SR 20 and SR 49 follow the Golden Center Freeway southwest from Gold Flat Road to the city of Grass Valley. 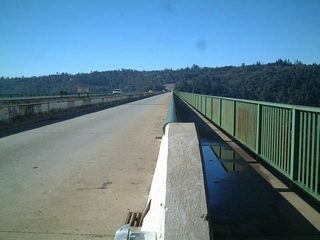 Photos taken 07/11/18. 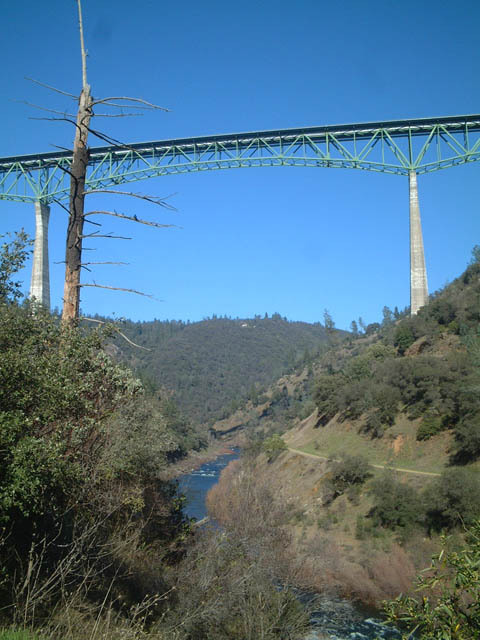 North from Gold Flat, SR 20/49 (Golden Center Freeway) travel through Nevada City, seat of Nevada County. Photos taken 07/11/18. "New sign celebrates Foresthill Bridge&apos;s 30th." 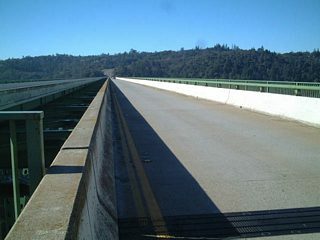 Auburn Journal (CA), September 1, 2003.